Major manufacturers in Japan's LED industry include Nichia Chemical, Toyoda Gosei, Toshiba, Matsushita Electric Works, Citizen, Sharp, and Stanely, among which Nichia Chemical and Toyoda Gosei are leading companies, and the two companies account for about 80% of the LED chip production capacity. Japan is about 80%. In the upstream raw material supply segment, Sapphire substrate suppliers for LED production are Kyocera, Shinko Corporation, Namiki, etc. Substrate suppliers such as GaAs and GaP are Sumitomo Electric Industries, Hitachi Cable, Mitsubishi Chemical, DOWA Electronics, and Shin-Etsu Semiconductor. Another LED production required MOCVD equipment, Japan's acid production capacity, the Japanese LED industry clustering status shown in Figure 1. 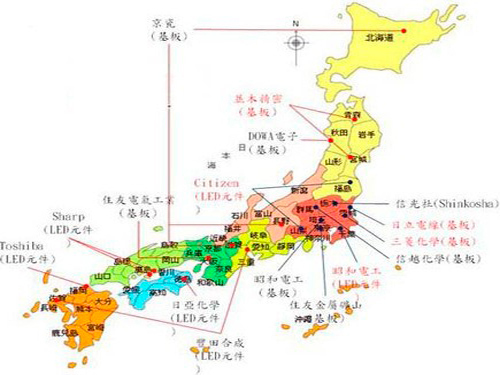 Fig.1 Major production bases of LED industry clusters in Japan are far away from the affected areas, and the impact of Japan's LED industry's production capacity is low. Both Nichia and Toyota's production bases are far from the main areas of the earthquake disaster, with only Citizen and Showa Denko. The home production base is located within the potential disaster area. Due to the relatively low market share of Citizen and Showa Denko, Citizen's production capacity is 560 kk/month, and Showa Denko's blue-ray production capacity is 340 kk/month. Even if the production line is damaged, the insufficient production capacity can be compensated by Nichia Chemicals and Toyota Synthesizer. Japan's LED industry has suffered minor damage to its production capacity. LED Substrate Supply Risk Improvements Sapphire, GaAs, GaP and other compound substrates are key raw materials for LED production. Several substrate suppliers, such as Hinoki Precision Jewels, are located in disaster areas and have a certain market share, which may cause an impact on the supply of upstream substrates. Nakiki Precision Jewels supplies about 10% of the world's Sapphire substrates, and its Kiyosaki Blackrock Factory and Akita Soup? The factories are located in the northeastern region. Although they are not directly affected by the disaster, they are expected to have low opportunities for damage. However, due to the problems of blackouts and damaged transportation infrastructure, they are expected to have an impact on their supply capacity. Hitachi Cable and Mitsubishi Chemical jointly supply about 20% of the world's GaAs substrates. Because the production bases of the two companies are located in Ibaraki Prefecture, a directly affected area, the risk of damage to the production line is high, and the follow-up supply capacity is expected to be hit hard. Short-term Japan and Japan LED industry supply chain is relatively closed, mainly to the supply of Japanese local manufacturers. If the supply of upstream substrates is delayed or cut off due to power outages or traffic jams, and the LED board certification time is long, it will not be easily replaced by overseas suppliers in the short term. The Japanese LED production line may face the risk of shutdown and waiting.